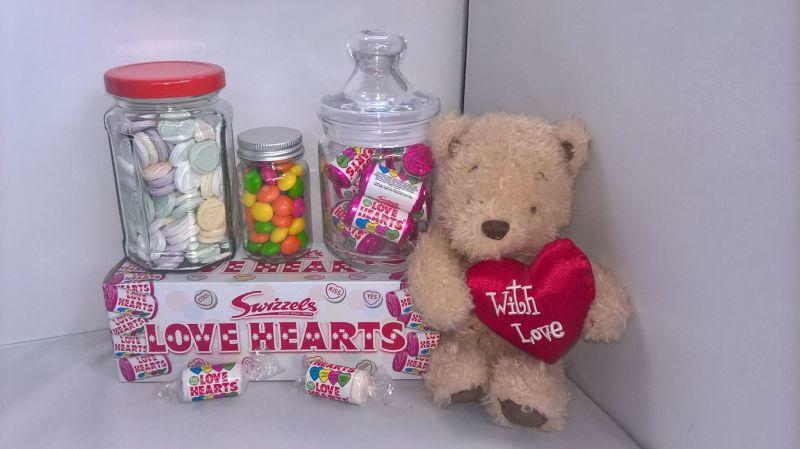 We are a supplier of a fantastic range of Bottles & Jars that can be used for wedding favours filled with your favourite sweets or homemade preserves.We can offer a range of glass sweet jars for sweet trolleys, jars suitable for tealights as well as well as a range of bottles to fill with your homemade drinks. We are a family run business based in West Sussex and we pride ourselves on providing a great range of products at great prices with great service!!! If you don't see the quantity you want then give us a call!! All our prices include V.A.T and standard delivery (some postcodes incur an additional cost).If you live local to us you can pick up your purchase and save the carriage (collection by pre-arranged appointment). When you call us you will ONLY ever speak to Kath & Andy-personal service at its best! !